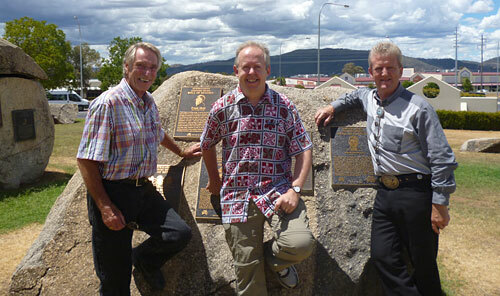 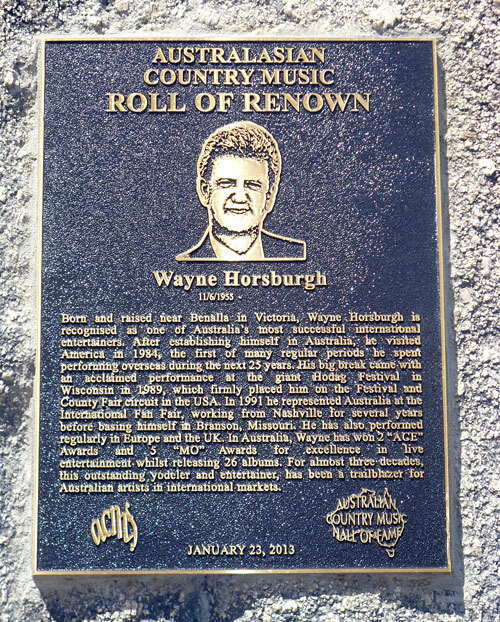 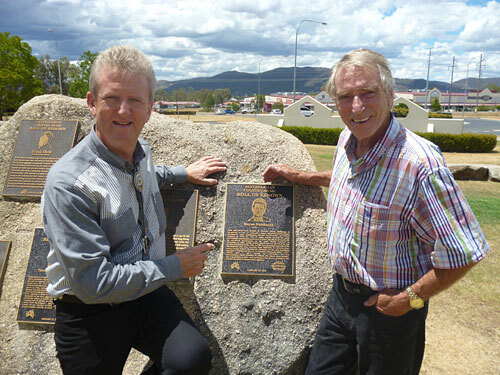 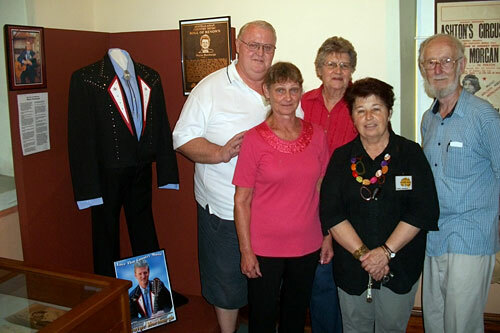 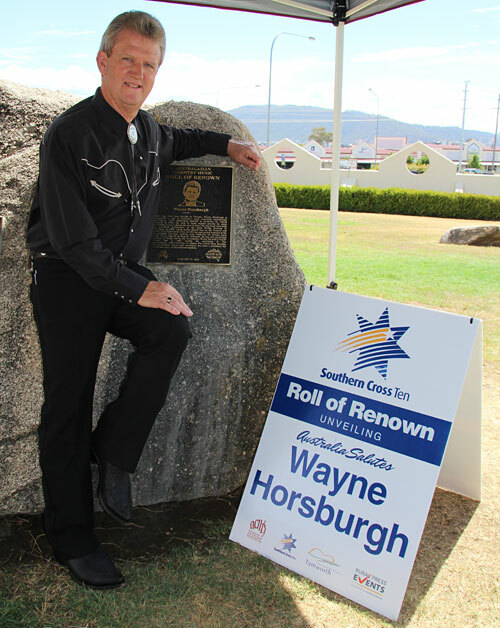 The unveiling of his plaque at the Roll Of Renown outside the Tamworth Regional Entertainment Centre took place on Wednesday 23rd January 2013. 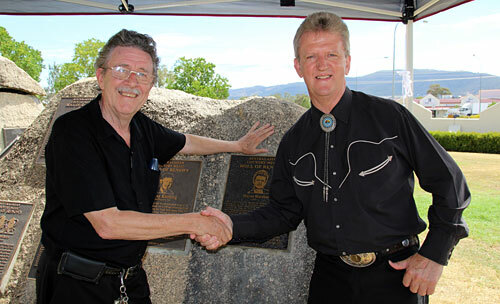 Frank was inducted in 2003 – his plaque is mounted on the same rock as Wayne’s! 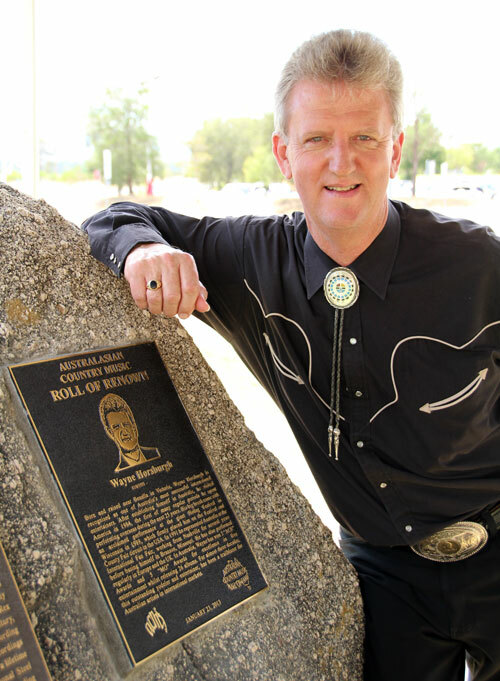 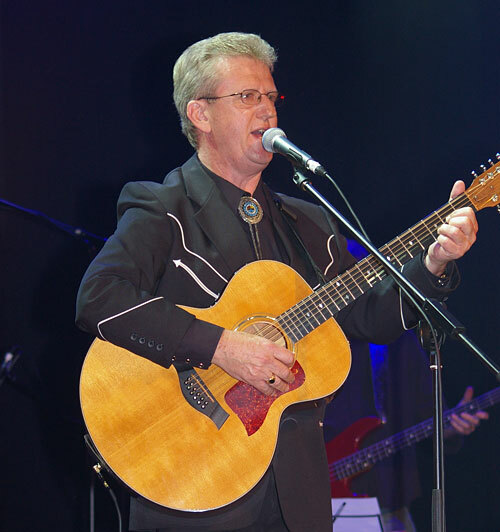 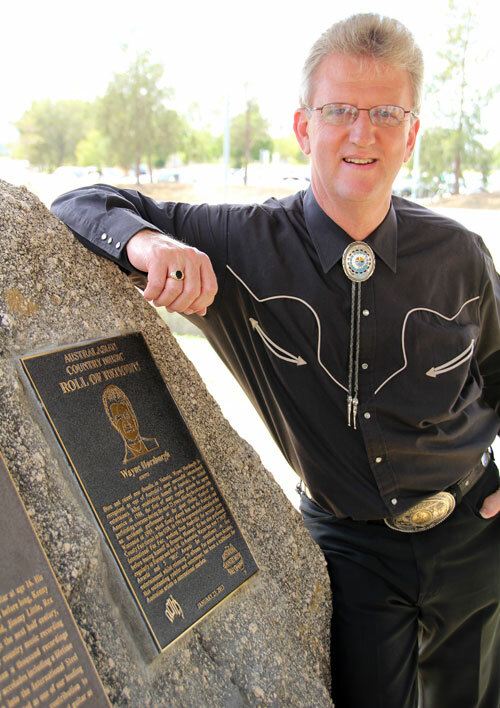 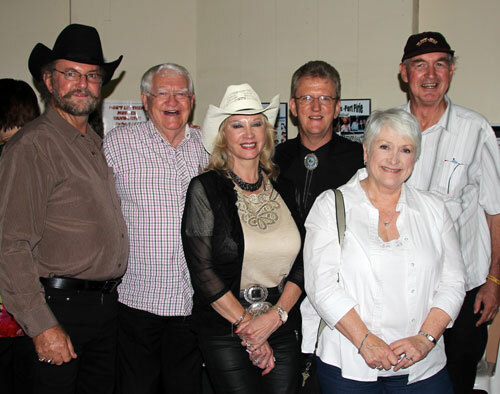 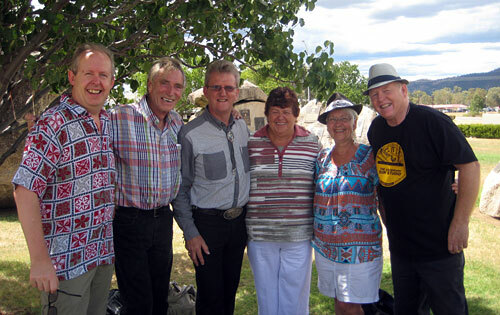 Wayne Horsburgh elevated to Australian country music’s highest honour. 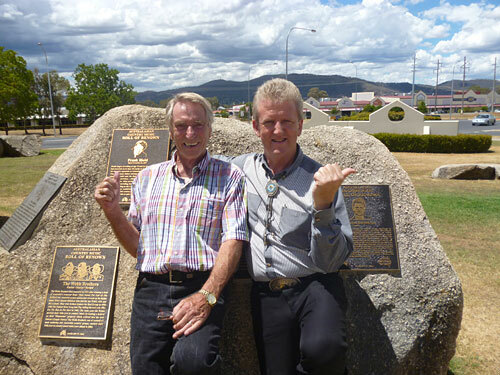 Wayne joins (in order of elevation) Tex Morton, Buddy Williams, Smoky Dawson, Slim Dusty, Shirley Thoms, Tim McNamara, Gordon Parsons, The McKean Sisters, Reg Lindsay, Rick & Thel Carey, Johnny Ashcroft, Chad Morgan, John Minson, The Hawking Brothers, Stan Coster, Barry Thornton, Nev Nicholls, Shorty Ranger, Jimmy Little, Ted Egan, Dusty Rankin, John Williamson, Rocky Page, Brian Young, Rex Dallas, Arthur Blanch, The Schneider Sisters, Frank Ifield, Kenny Kitching, The Webb Brothers, Athol McCoy, The Singing Kettles, Reg Poole, Lindsay Butler, Kevin King, Geoff Mack, Jean Stafford, Slim Newton, Anne Kirkpatrick, Phil & Tommy Emmanuel and Terry Gordon on the ‘Roll Of Renown’. 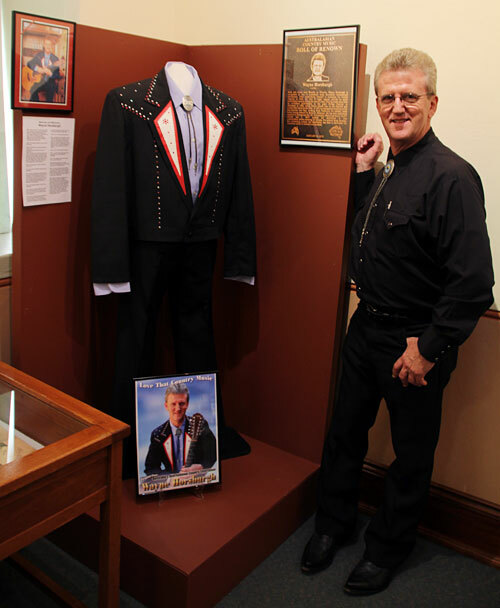 Hall of Fame Museum where one of Wayne’s stage outfits is on display. 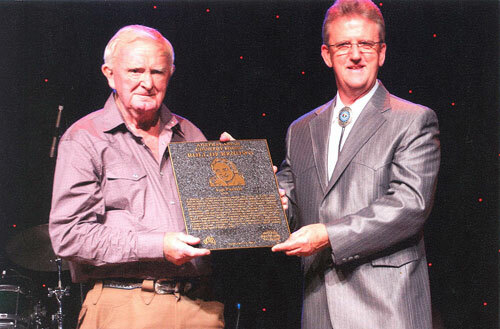 Passing the baton: The Country Music Roll of Renown in 2014 was awarded to Les Partell & Norm Bodkin. 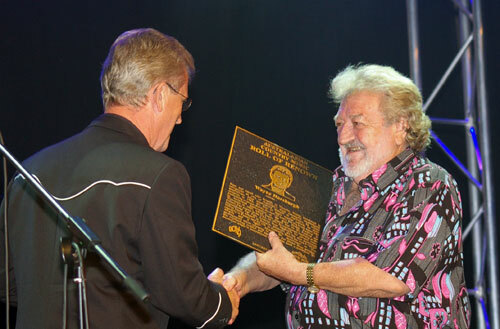 Pictured here, Wayne presents Les Partell with his plaque.